Multiple cover options are available in a variety of materials. 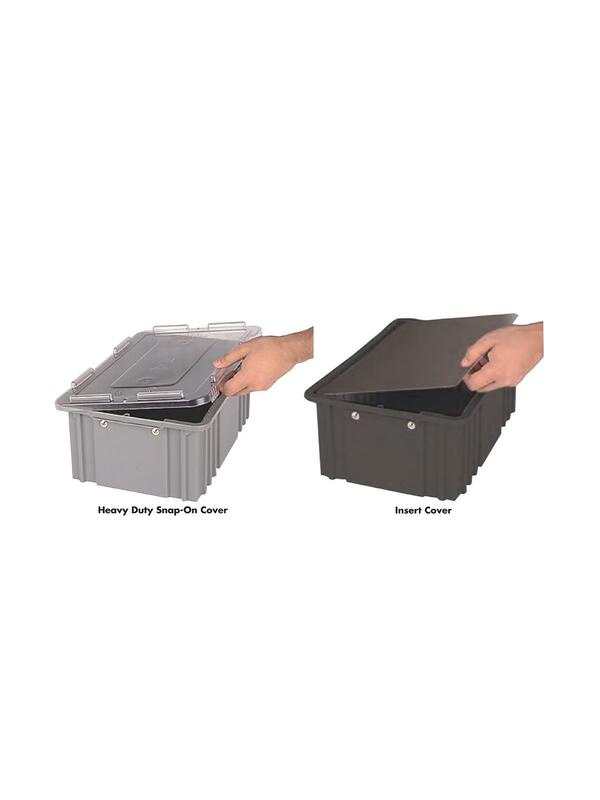 Choice of two versatile styles to protect your product from impact, dust and chemicals throughout your facility. 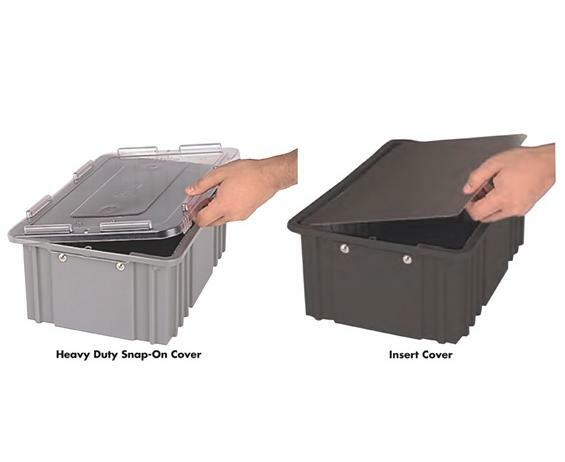 Heavy Duty Snap-On Cover - This durable cover snaps easily and securely onto the container. Available in Solid Gray, XL Black, or Clear material for easy visual inspection of contents. Insert Cover - This cover rests inside the container perimeter stacking ridge. Covers are available in XL Black. See Related Items tab for Dividerpak II - Divider Box Containers.